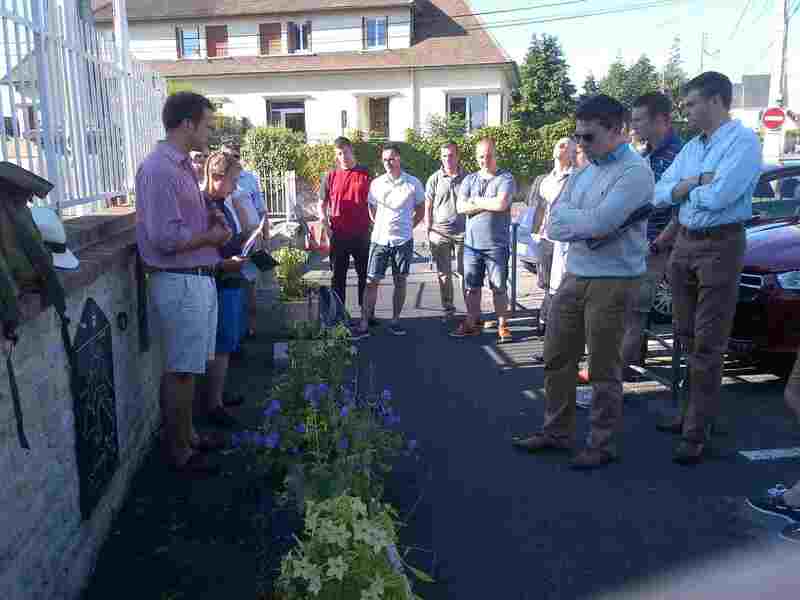 In July this year a group of soldiers from from the 2nd Battalion the Royal Anglian Regiment conducted a battlefield study in Normandy following the actions of their antecedent Regiments. 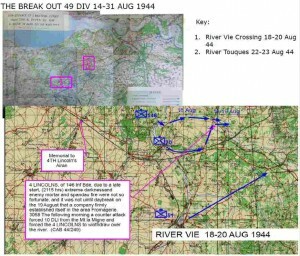 The purpose of the exercises was to undertake a Battlefield Study over four days in Normandy with the aim of enhancing the conceptual training of Officers WOs and NCOs of an infantry battalion with regard to the conduct of operations of a light role battalion in conventional war, operating in conjunction with other forces. 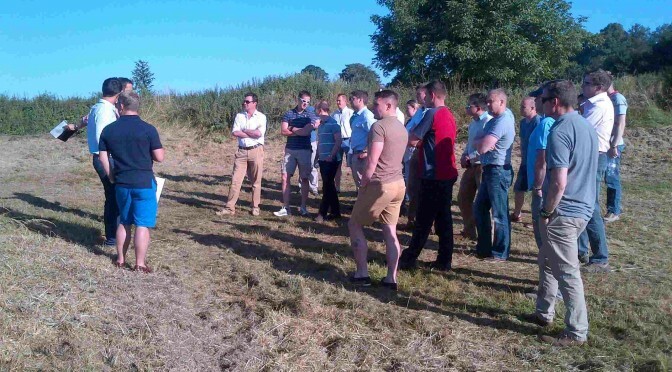 Around 25 officers and NCOs took part, preparing pre tour briefings and syndicate exercises for work on each stand. The Normandy battlefield offers a good basis for battlefield studies, drawing on the wide range of military operations undertaken by the British Army in different phases of war. Following the story of the County regiments which were merged to form the Royal Anglian Regiment was an opportunity to personalise the Normandy campaign. 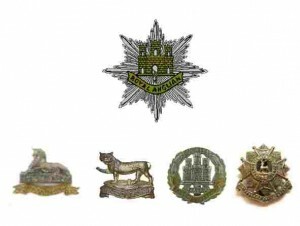 Each of the companies of the current battalion is associated with one of the antecedents; the Royal Lincolnshire Regiment, Royal Leicestershire Regiments Northamtonshire and Bedfordshire & Hertfordshire Regiments. Soldiers from each of these regiments took part in the Normandy campaign, which offered an opportunity to explore different infantry roles in a major war. 1st Battalion Royal Lincolnshire. Parent formation: 8th infantry Brigade of 3rd Infantry division, landed on D Day and took part in the 3rd Infantry divisions battles for Caen . 4th Battalion Royal Lincolnshire Regiment. 146 Brigade of 49 infantry Division. Landed on 13th June, D+7 and took part in the battles south of Bayeux The division was transferred to the 1st Corps on East of Caen and fought in the breakout from Normandy, the advance to the Seine and the capture of le Havre. 1st Battalion the Royal Leicestershire Regiment: 147 Brigade of 49 infantry division. This battalion was not originally scheduled to serve in Normandy. It replaced the 6th Battalion the Duke of Wellington’s Regiment disbanded at the end of June 1944. It fought in the 49th Divisions battles during the breakout from Normandy and afterwards. 2nd Battalion the Hertfordshire Regiment joined 9 Beach Group, and the commanding officer, Lieutenant Colonel J.R. Harper, was appointed overall commander. The Infantry battalions which served as beach Sub Area troops are not as well known as the assault infantry. 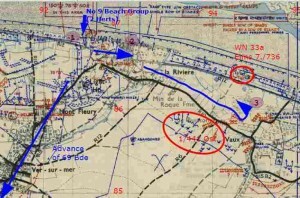 Despite Harper’s hope that it would be redeployed as infantry upon the completion of this task, it was disbanded on 17 August and the soldiers dispatched in replacement drafts to other units. 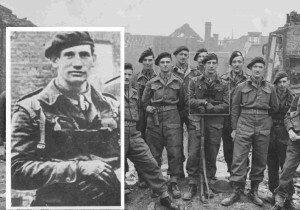 No formed battalions of the Northamptonshire Regiment took part in the Normandy campaign, but individual officers and soldiers did. The 2nd Battalion the Royal Lincolnshire Regiment landed on Sword beach on D Day. Major Barber Northamptonshire Regiment, OC D Company 2nd Battlaion East Yorkshire Regiment D Day. 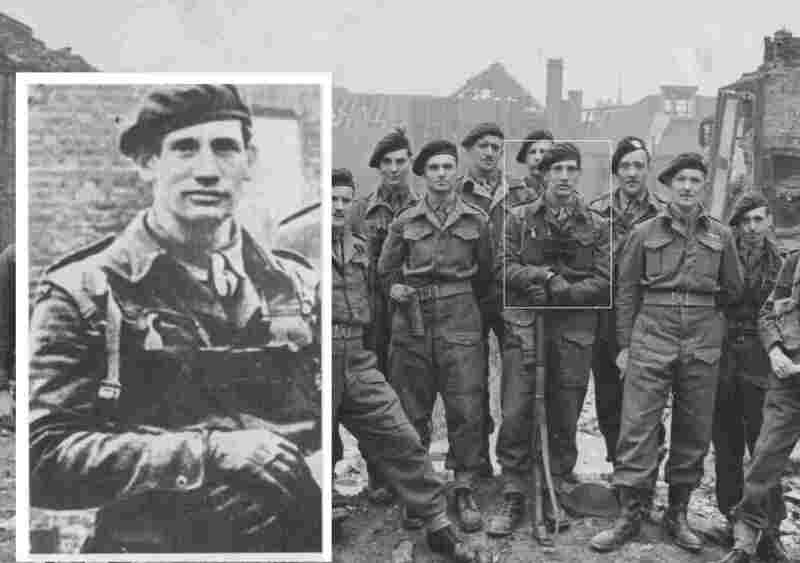 Five hours earlier Major R H Barber of the Northamptonshire Regiment had led D Company of the 2nd Battalion the East Yorkshire Regiment, one of the assault waves on Sword beach. A veteran of the North West Frontier, he was also a falconer and had published a bibliography of Falconry. He was killed by a mortar bomb which struck his Company head quarters and is buried in Hermanville War Cemetery. 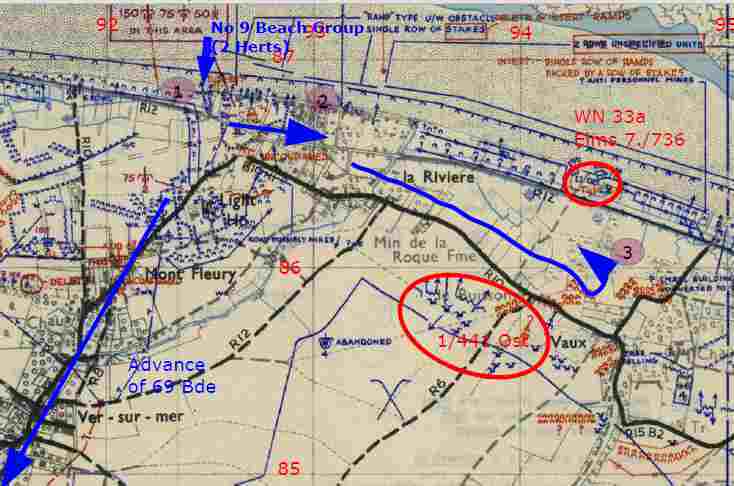 Operations by 2 Herts to clear German positions East of Gold Beach 6 June 1944. Operation Martlet was the first major action for the 4th Lincolns. This was a Divisional attack to clear the Rauray feature. This was an area of high ground which dominated the Western Flank of the attack planned by VIII Corps, called Operation Epsom to the East of The bloody battles between the 49th Division and some of the toughest German Army and SS Panzer formations led to the destruction of much German armour and the 49th Division squiring the nickname of “Butcher Bears.” It is possible to trace the story of these actions over the rural landscape, which although not marked by many memorials, remains identifiable. The Ruray ridge is a place to look at the British army on the defensive against an armoured opponent. Although the 1st Tyneside Scottish bore the brunt of the German attack, 4th Lincolns were engaged to their west. The View from the Start line. Herouville Church spire is just visible in the centre. 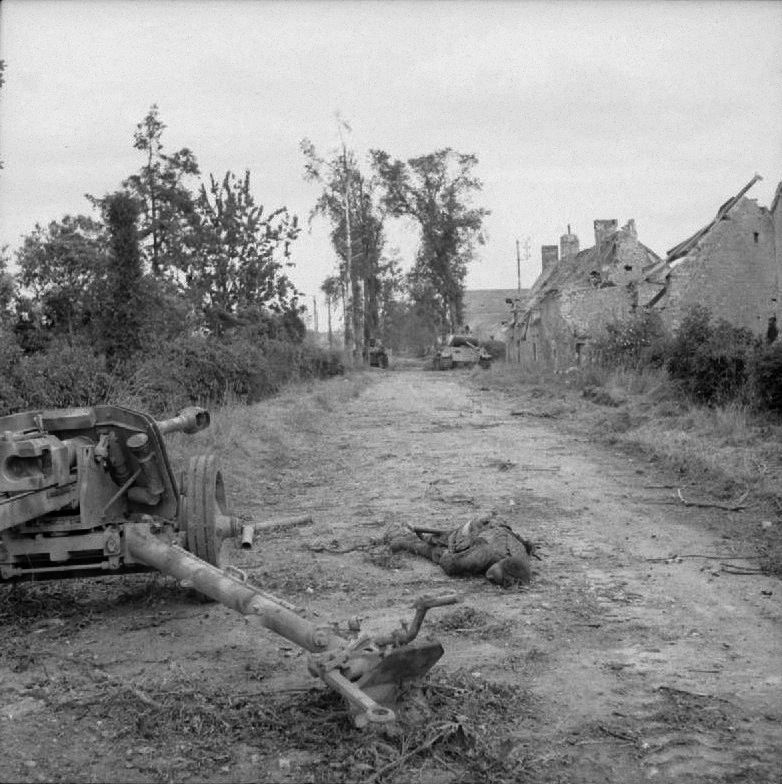 Operation Goodwood 18-20 July 1944 was an attack by three armoured divisions supported by artillery and aircraft in a southerly direction East of Caen. Three infantry divisions carried out subsidiary operations in support of op Goodwood. 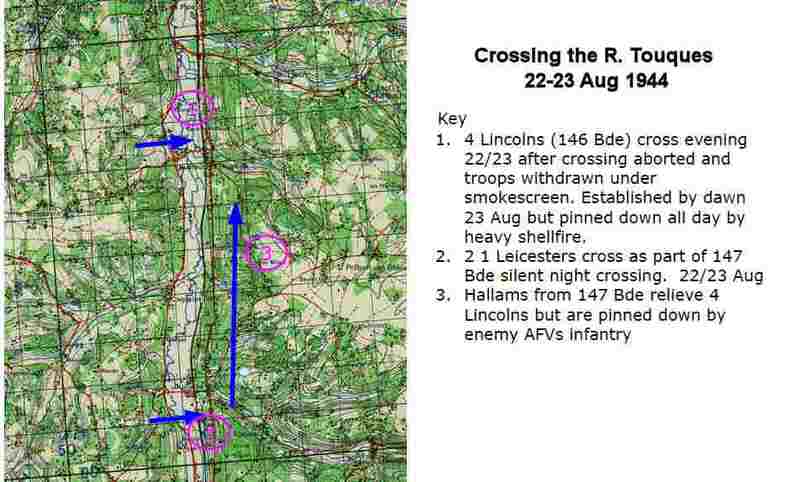 The 3rd Infantry Division’s role was to attack towards Traon to protect the Eastern flank of the armoured advance. 2nd Lincoln’s was deployed in Banneville. The dry ground had been so badly churned up by bombing that it was difficult to dig slit trenches. The battalion endured bombardment from mortars which cost it ten officers and 200 other rank casualties in 72 hours. One of the best places to contemplate this operation is the War Cemetery at Bannevile en Campagne, which is not far from “Black Orchard”. 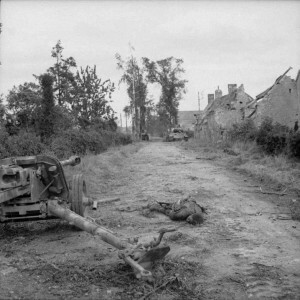 After this action 3rd Infantry Division were redeployed to the Western flank of the British Second Army, but 2nd Lincoln’s do not seem to have been involved in further heavy fighting in Normandy. The Normandy battles offer an opportunity to explore the role of leadership in units undergoing the strains of battle. The unit that the 1st Leicesters replaced,6th Duke of Wellingtons, had disintegrated under the pressure of heavy casualties. The respective roles of officers and warrant and non-commissioned officers under these circumstances makes for an interesting discussion topic. In mid August the 49th Division, and with it the 4th Lincolns and 1st Leicesters were on the left flank of the 1st Canadian Army offensives along the Caen to Falaise road which formed the northern jaws of the Falaise Pocket. The Germans which the Lincolns and Leicesters faced were conducting an orderly withdrawal towards the Seine and sought to impose delay on each river line. Several of the villages remember the these units as their liberators. In the past groups of veterans have been feted in Conteville, Poussy la Campagne, Billy, Airan and Chicheboville. There is a memorial to 4th Lincolns in the village of Airan. 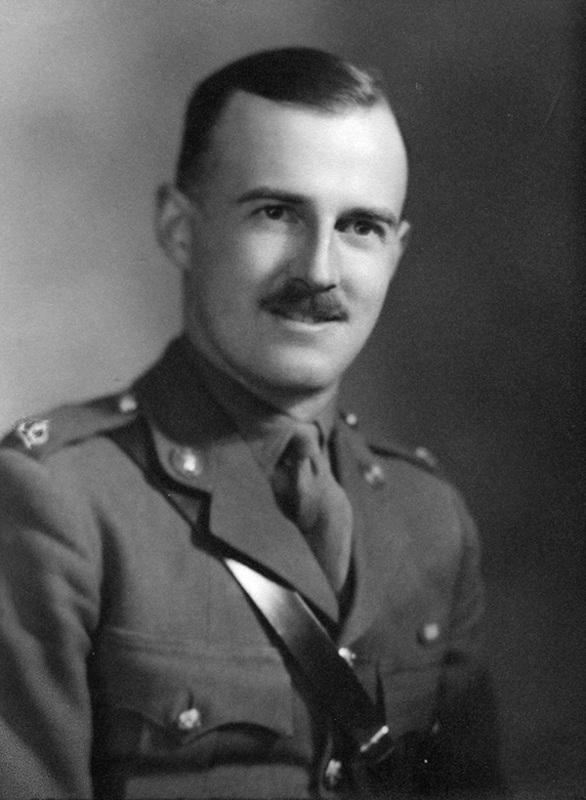 The acting CO Major Stokes was killed by a stray shell on the 13th August. His death was particularly mourned as an ex-city counsellor and pre war TA soldier. The advance to the Seine is an episode which has been overshadowed by the capture of Paris. Yet the river crossings of the Vie and Touques were no picnic. On the 19-20th August the 4th Lincolns struggled to cross the Vie and on the 23 Aug river Touques was only crossed as divisonal crossing with heavy casualties for 1st Leicesters. 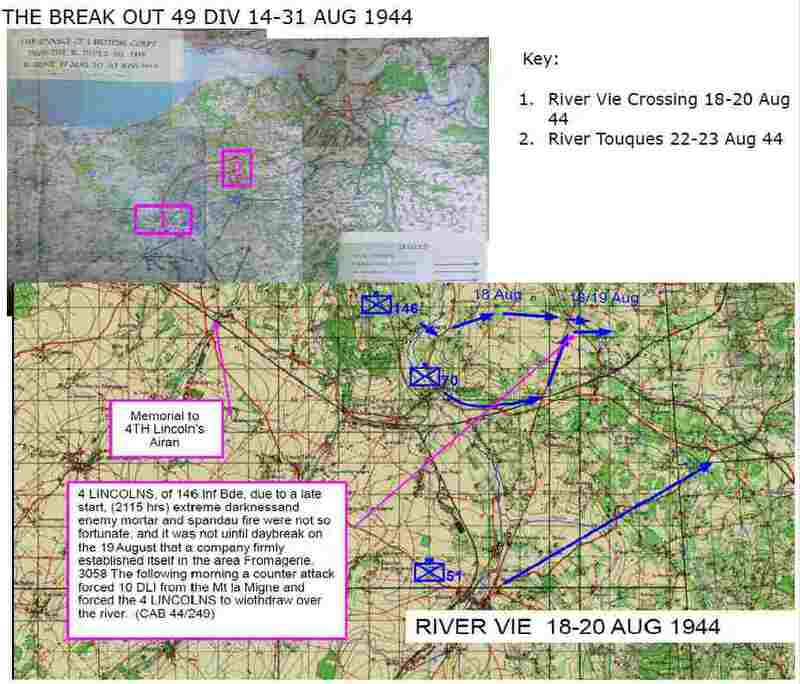 The 49th Division had a further operation in Normandy, the capture of Le Havre in Upper Normandy. 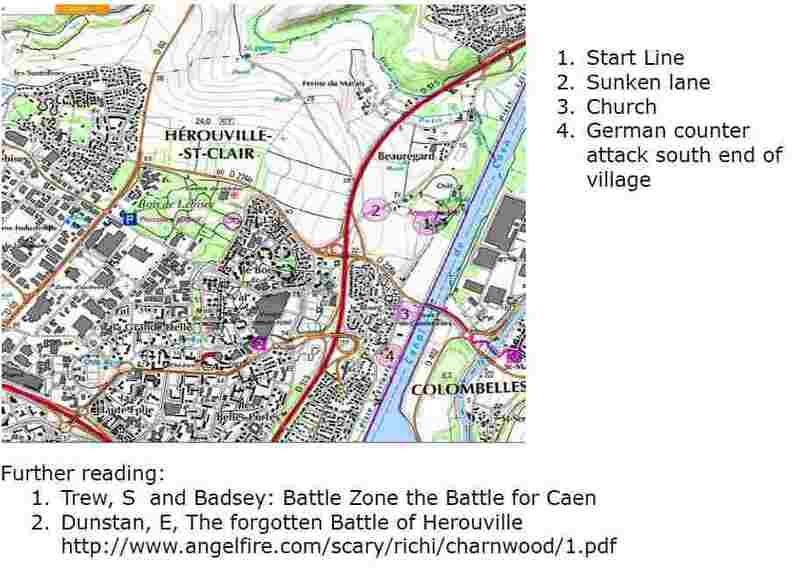 The advance to the Seine is a chance to examine the operations of the British Army in the Advance to combat and obstacle crossing. 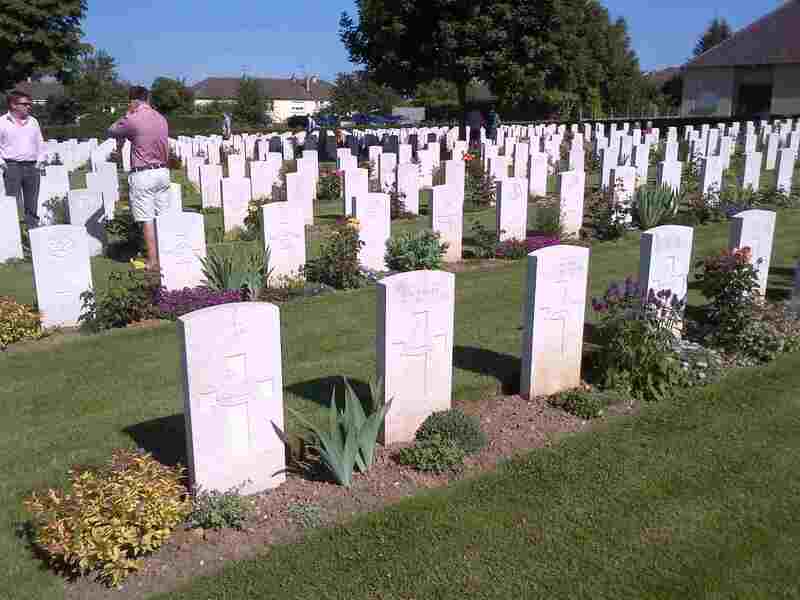 The Commonwealth War Graves Commission database lists 338 men of the antecedent Regiments of 2 Royal Anglian Regiment who died between 6th June and 31st August 1944 and are buried or commemorated in France or the UK. In the Normandy campaign there were 3.5 wounded for each dead, so the total casualties suffered by the four battalions serving in the campaign and individual soldiers attached to other units would have been around 1,200.. The casualties were not evenly distributed between the Regiments. 248 of the dead were from the Lincolns, 54 from the Leicesters, 27 from The Beds and Herts and 9 from the Northamptonshires. Two battalions of the Lincolnshire Regiment served in Normandy, one from D Day. The CWGC records list 123 of the dead from 2nd Battalion which landed on D Day and 118 from the 4th,,which landed a week later. The Leicesters which landed in July, lost all but eight of their war dead in August, after the break out had started. L:t George Herbert DCM MM of the Northamptonshire Regiment, pictured with other officers from No 3 Commando. The DCM was for Vaagso as a corporal and the MM for Dunkirk. Heavily armed with rifle, pistol and a cosh liberated from an underground carriage, he is “ally.” Sadly this decorated soldier fell on 8th June. 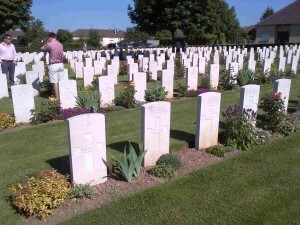 Although no units of the Northamptonshire Regiment served in Normandy, six officers and two private soldiers are buried or commemorated in Normandy. Two of the officers were killed as Commanders with other infantry units. Two of the officers and two of the privates died as Army Commandos and one officer with 8 Para. These figures are not entirely consistent. The CWGC records do not always include the correct unit and may have excluded soldiers from other cap-badges who became casualties while serving with one of these units, such as Lt James Richardson a Canadian Officer Loaned to the 2nd Lincolns, who died of his wounds on the 9th July. However they give an indication of the scale of losses. Row of Lincolnshire Regiment graves Ranville CWC. Dividing 1,200 casualties/338 dead by the 88 day duration of the campaign gives an average of 13-14 casualties per day of which, around 4 would be fatal, a loss of around a section plus per day. However the casualties did not occur at a steady rate. 42 men died on the 8th July, almost all lost in the 2nd Battalion’s attack on Herouville, and a further 21 were lost on 20th July in Op Goodwood. 24 men of the 1st Leicesters were killed on the 23 August, in the assault crossing of the River Torques, a largely forgotten engagement and under visited battlefield, while Op Martlet cost 4th Lincolns 15 dead on 25th June. Multiplying these numbers by the number of wounded would mean that these units would have lost between 60 and 160 men, between one and two companies on these days. Most of the losses would have been suffered from the 360 riflemen in the rifle companies in each battalion. The total losses of 1,200 approximate to the number of riflemen in the rifle companies of the four battalions which served in the campaign and are more than the three which served as infantry. Perhaps this is why the Normandy campaign was such a good place to study leadership within an infantry battalion in war. In addition to the story of these units the itinerary also included a study of the battle for the Hillman position captured by the 1st Suffolks, antecedents of 1st Battalions’s Vikings rather than the Poachers of the 2nd battalion. 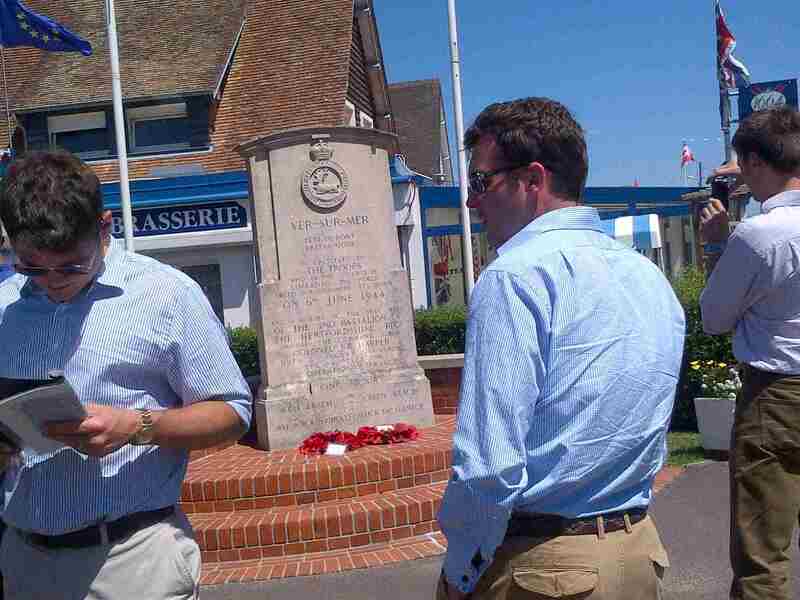 We also included lunch stops in Arromanches and Pegasus bridge, which offered museums and shops to explore. 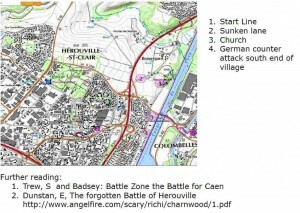 A CUSTOMISED BATTLEFIELD STUDY FOR ANY CAP BADGE? 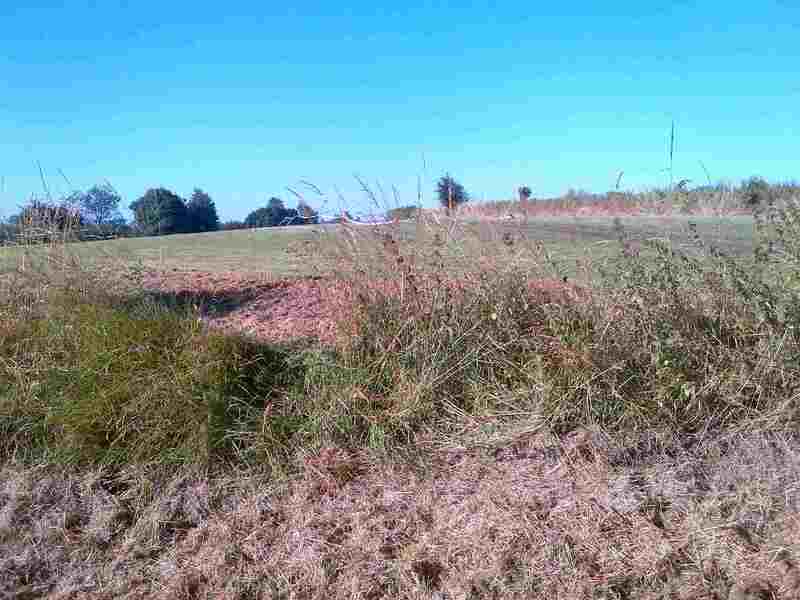 This battlefield study followed the fortunes of the antecedents of one cap badge. There was plenty to see and talk about, and much that was unique to this tour. The same kind of tour could be probably be undertaken for almost any British army unit with WW2 antecedents.